April 10, 6pm Pre-Sanctified Liturgy, supper follows. April 12, 6pm Fifth and Final Akathist for Lent. April 17, 6pm Last Pre-Sanctified Liturgy of Lent, supper follows. 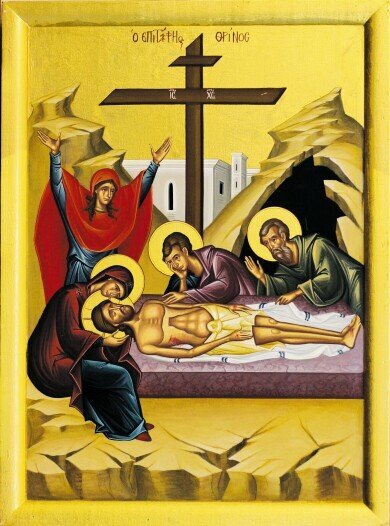 April 20, Lazarus Saturday, 10am Holy Liturgy, Breakfest follows. sponsperd by AHEPA Chapter. April 20, Ladies Philoptochos sets up church hall and prepared for Plaki Luncheon. Apri 21, Sunday of the Palms, 9:50 Blessing of palms and the faithful. 10am Liturgy, followed by Plaki Luncheon by the Philoptochos sisterhood. For rest of Holy Week schedule please see Holy Week schedule on this site. A Good Resurrection and a Joyful Easter! PLEASE REMEMBER TO BRING DONATIONS FOR HAWKEYE HARVEST FOOD BANK.